Copper Wires - Ace Steel & Recycling Inc. The copper wiring in old extension cords, Christmas lights, power tools, electric motors, and other electrical products is valuable. Why haul those things to the landfill when it would be easier to turn them in for cash at Ace? While different recycling companies adopt various methods of recycling wire, the basic objective remains the same; seperate the metal wires from the insulation and extract the valuable metals. When the recycling process is complete, the result is concentrated copper. Recycling copper is financially viable as it's one of the more valuable recycled materials. Number 1 grade copper wire contains no non copper metallic contaminants and is the most valuable. 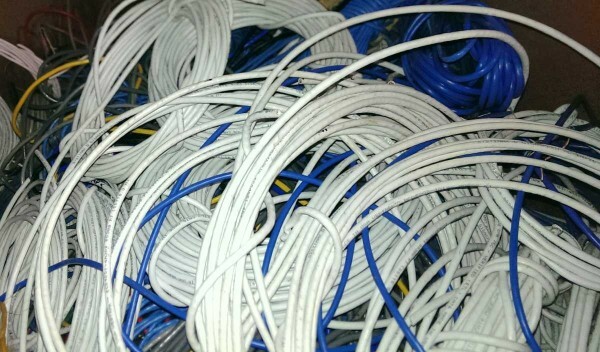 Number 2 grade copper wires contain some contaminants such as solder, brass connectors, and plating, which lower the value somewhat, and should be removed before recycling when possible. By removing the contaminants, you can bump your wire from grade #2 to grade #1 and get a higher price. 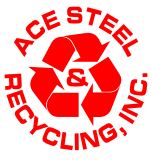 Ace Steel & Recycling is waiting for your copper at our front dock. We'll take it in any form. We'll sort and weigh your load, and quickly provide you with a ticket to redeem for a check at our front desk. It's so easy, you'll wonder why you haven't been recycling wires all along! Questions? We're waiting to answer them at 342-8649!